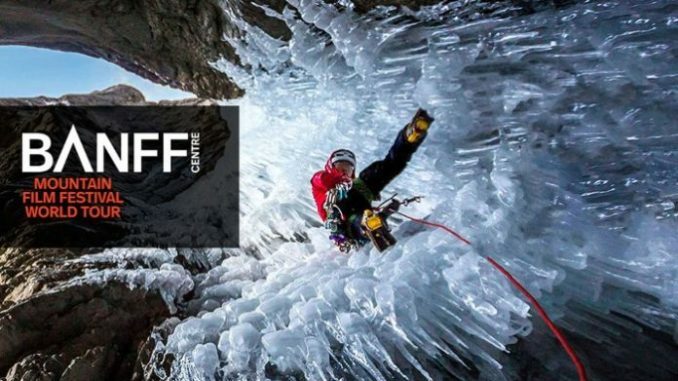 Attention all outdoor enthusiasts and adventure addicts, bookings for the annual International BANFF Mountain Film Festival, which takes place between 26 October and 04 November 2018, can now be done on the Ster-Kinekor website. For the thirteenth-year running, Ster-Kinekor in partnership with South Africa’s favourite outdoor adventure store, Cape Union Mart, will screen the festival to the South African adventure crusaders. In partnership with leading outdoor brands K-Way, Black Diamond, Deuter, Buff and GoPro; featuring the best mountain films and exceptional filmmaking talent from around the globe, the festival offers something for everyone with a mix of topics and cinematic styles that will both inspire and entertain. Once again, audiences will get the chance to explore and experience some of the world’s most adrenaline-pumping adventure locations – from high mountain expeditions to skiing, mountain-biking, and even flying surfers! – all from the comfort (and safety) of Ster-Kinekor cinemas. All types of outdoor adventure such as surfing and skiing, base-jumping and bouldering, rowing and trail running, are beautifully captured through film. Book your tickets now by visiting the Ster-Kinekor website or download the SK App on your smartphone. You can also book at the box office. For news and updates, go to Facebook: Ster-Kinekor Theatres | follow Ster-Kinekor on Twitter: @Ster-Kinekor. For all queries, call Ticketline on 0861-Movies (668 437).